We’re delighted to announce our Story Massage Centre of Excellence and Best Practice Award Winners for June 2017. How wonderful to have such a selection of winners using Story Massage in so many different ways in the home, school and wider community. Many congratulations. The Early Focus Project and St James Primary School in Dublin. 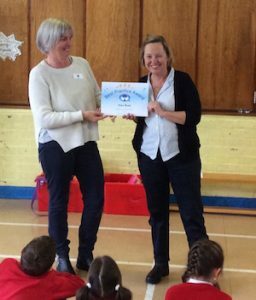 The school has 9 members of staff trained in Story Massage and has just been recognised as the top Primary School in Ireland for promoting and supporting Mental Health. Read more here: Story Massage for Transition. Play and Activities Coordinator at Shooting Star Chase Children’s Hospice in London. 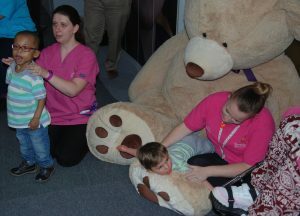 Read more here: Sensory Stories in a Children’s Hospice. Specialist Teaching Assistant, responsible for sensory needs, at Wood Bank Special in Halifax. Read more here: We’re Going on a Bear Hunt. Owner of Mini Me Jamboree in Leeds – running sensory story sessions for parents and children. 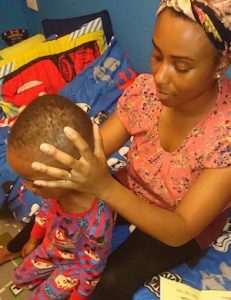 Read more here: Story Massage for Babies and Children. Specialist Autistic Practitioner at a nurture unit in a school in Northumberland. Karen is also a Relax Kids Coach. 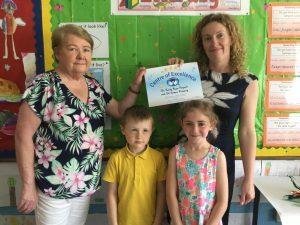 Read more here: Positive Touch in a School Nurture Unit. Massage Therapist at Linden Lodge School in London. The school is for visually impaired pupils and those with PMLD. Read more here: Story Massage for Visually Impaired Pupils. Complementary Therapist from Ireland specialising in working with babies and children. Melanie also uses Story Massage with children with autism in schools. Read more here: Halloween Story Massage and Story Massage and the Literacy Curriculum. Senior Day Service Officer working with adults with complex needs at a day service run by Staffordshire County Council. Read more here: Story Massage in a Complex Needs Service for Adults. Day Service Assistant, working alongside Louise at a day service for adults with complex needs in South Staffordshire. Read more here: Story Massage in a Complex Needs Service for Adults. Nurture teacher at Thorntree Primary School in Glasgow. Jennifer uses Story Massage with nurture groups and runs a Story Massage Club. 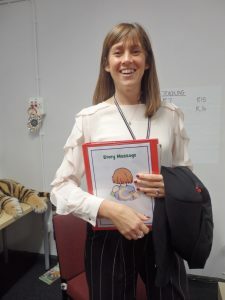 Read more here: Story Massage for Nurture Groups. 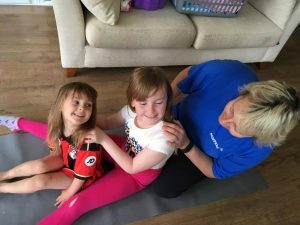 Massage Therapist working with children with sensory impairments and complex health needs in Cambridgeshire. Barbara also works with families and carers. 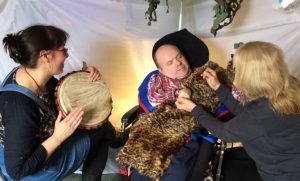 Read more here: Story Massage for Children with Life-Limiting Conditions. 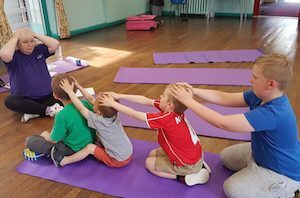 Relax Kids Coach who also uses Story Massage on a regular basis with Rainbow and Brownies, and her own children at home. Read more here: Story Massage for Bereavement. 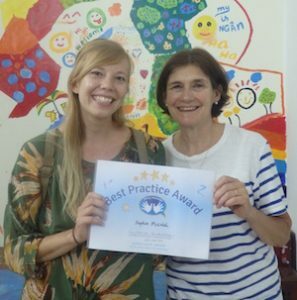 Would you like to enter our Best Practice Awards? You can enter your organisation as a Story Massage Centre of Excellence. Or nominate yourself or someone you know for a Story Massage Best Practice Award. All the information is here: Story Massage Best Practice Awards.